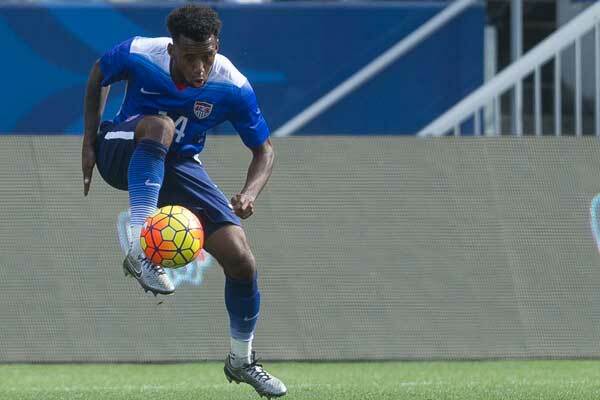 By Jason Davis – WASHINGTON DC (Oct 26, 2018) US Soccer Players - Decision Day arrives in Major League Soccer bursting with myriad possibility. With 10 of 12 playoff spots known heading into the final day of the season, there's a lot left to decide. The Supporters' Shield, playoff seedings, and those two final postseason berths are all in play with 11 simultaneous kickoffs Sunday afternoon at 4:30pm ET. It figures to be madness of the best kind. Keeping track of the moving pieces during the games will be difficult, but by the time the ball stops rolling in each of the 11 stadiums, we’ll know who’s in, who’s out, and where they all fit. We’ll be ready for the commencing of the knockout round on Halloween night. What’s on the line on Decision Day should probably start at the top. The Supporters' Shield remains unawarded headed into the final week, something that wasn’t true during Toronto FC’s march to the points title last season. What’s remarkable about that fact is that the two teams with a chance at winning the trophy can also break TFC’s single-season points record set in 2017. Atlanta United is already level with Toronto’s record at 69 points. The Red Bulls are just a point back of Atlanta and can eclipse TFC with a win over Orlando at Red Bull Arena on Sunday. The fate of the shield lies mostly in Atlanta’s hands. United will be in Toronto on Sunday, where a win ensures the second-year club of its first-ever piece of silverware. If Atlanta draws with or loses to the Reds, the door opens for New York to steal away the Shield. Should Atlanta lose and the Red Bulls draw, the two clubs will finish level on 69 points. The first tiebreaker is wins and that would also be level. That would push the decision to goal differential, and if that’s level, to goals scored. Atlanta has a healthy margin in that last category. The Red Bulls welcome in Orlando with something close to their full complement of players. Aside from a few long-term injuries, only Marc Rzatkowski is a doubt to play against the Lions. On paper, the game should be a walk for the New Jersey team, although Chris Armas’s choices will be closely watched with the playoffs looming and the Red Bull still in search of the club’s first MLS Cup title. The Supporters' Shield is a significant trophy, but New York has won two of them before. It’s the Cup they really want. The three other teams in the East already qualified for the postseason will be jockeying for position below Atlanta and New York. At Yankee Stadium in the Bronx, NYCFC hosts Philadelphia in a match that will help sort out which two sides will host knockout round games in the conference. The New York club has a three-point lead over the Union at the moment and can secure 3rd-place with a single point. Philadelphia needs a win to be sure of a home playoff game with DC United just three points back in the standings. DC will treat their trip to Chicago as a must-win game and a chance at earning their own home playoffs date next week. United could also climb into fourth place with a draw if Philadelphia loses to NYCFC. The final spot in the playoffs comes down to Columbus and Montreal. It’s simple for the Crew. Win against Minnesota at home in front of what should be a big, energetic crowd at MAPFRE Stadium and they're in. Lose, and the Impact could jump over Columbus with a win over New England at Gillette Stadium. Columbus is fighting against recent form. Gregg Berhalter’s team has one win in their six and has averaged just a goal-per-game for the last ten. The Loons have little to play for beyond pride, but they wouldn’t be the first eliminated team to play spoiler on the final day. The Western Conference doesn’t have a team vying for the Supporters' Shield, but it does have a head-to-head battle for first place. 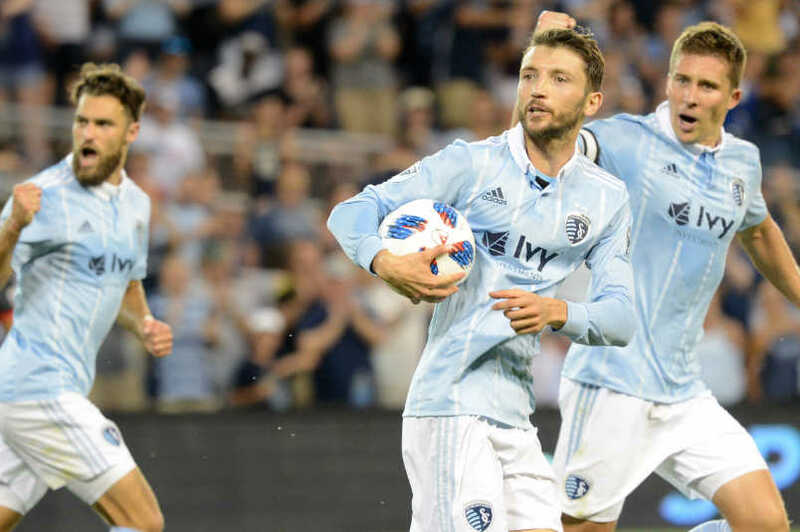 FC Dallas will have a part to play, but the showdown between Sporting Kansas City and LAFC at Children’s Mercy Park could determine the top seed. Sporting finishes first with a win against the expansion side, while LAFC will top the conference if they can beat Sporting in Kansas City and FC Dallas doesn’t manage to win and overcome an eight-goal deficit in goal difference. Anything less than a win for LAFC puts the club in jeopardy of slipping down into one of the knockout round spots. FC Dallas is in Colorado to face an already eliminated Rapids squad, so Bob Bradley’s team shouldn’t count on any help. FCD’s path to the top spot is nearly impossible. It would take a win of their own plus a Sporting draw or loss while also turning over a -9 goal difference. So the best case scenario for Oscar Pareja’s side is to jump over Sporting or LAFC into second by beating Colorado. The worst case scenario for all three teams involves ending up in the knockout rounds. Seattle lurks in 4th-place and could grab a bye with a home win over San Jose. It will take an FC Dallas loss, but the Timbers will host a home playoff game in the knockout round if the Texans lose in Colorado and the Timbers take care of their business against the Whitecaps in Vancouver. The Whitecaps’ season ended last week, so the team led by an interim head coach is playing for pride against their Cascadia rivals. The only team above the red line in the West yet to officially qualify for the playoffs is Real Salt Lake. Unfortunately for Mike Petke and his team, they can do nothing but wait out Decision Day and hope they remain in 6th with the day is over. RSL finished its regular season schedule with Sunday’s loss to Portland, which means the Utah club needs Houston to either beat or draw with the Galaxy at the StubHub Center to make the playoffs. In 2017 Real Salt Lake missed the postseason by a single point despite a final week win. The Galaxy’s season coming down a single game seems fitting considering the rollercoaster ride that 2018 has been for the club. While Zlatan Ibrahimovic deserves plenty of credit for helping his team even have a chance to play for a postseason berth on the final day, Dom Kinnear should also get a bit of praise. Unlikely to be the choice for head coach in 2019, Kinnear has stabilized LA and lived up to his well-earned reputation as an all-time great at getting teams that start slow into the playoffs. Decision Day promises drama, elation, and a healthy dose of heartbreak. With so little decided, the final week of the MLS season and the simultaneous Sunday starts is just about all we could ask. In MLS, the basic measure of success in a given season is making the playoffs. Ten teams have met that standard. Four other teams will have their campaigns labeled good or bad because of what happens on the final day. That could mean coaches keep or lose their jobs, players stay or go at season’s end, and fans return or don’t for more games in 2019. In other words, no pressure.